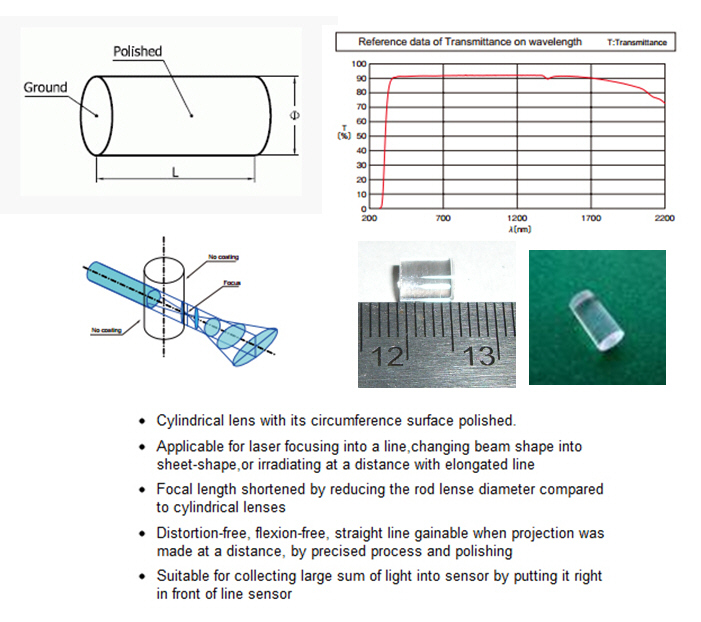 Rod lenses are optically precise ground devices, a cylindrical lens with its circumference surface polished. Used for laser focusing into a line,changing beam shape into sheet-shape,or irradiating at a distance with elongated line. Focal length shortened by reducing the rod lense diameter compared to cylindrical lenses. Distortion-free, flexion-free, straight line gainable when projection was made at a distance, by precised process and polishing. Suitable for higher power applications without distortion.